At Macie’s Own, our philosophy is to keep it simple and deliver real quality. We are dedicated to the production of premium quality dog treats made from poultry. 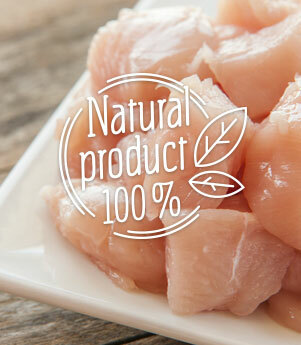 Our USDA inspected chicken and turkey is sourced from regional farms and farm cooperatives and arrives to us fresh. 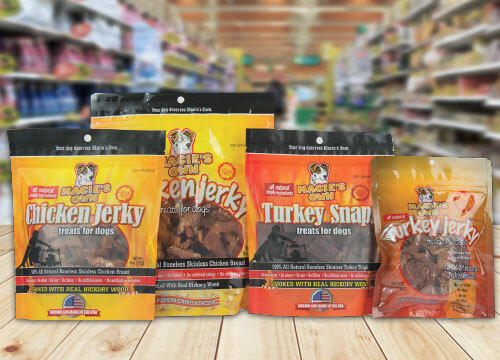 All our jerky treats are made with boneless, skinless breast meat and our snaps are made from boneless, skinless turkey thigh meat. We do not use any by-products, artificial preservatives, fillers, or artificial flavors. We produce and package all our treats in our facility in Lambertville, New Jersey. Macie’s Own treats are as simple and as real, as it gets. Your dog deserves Macie’s Own! Macie’s Own Dog Treats are sold only through independent pet stores, small independent pet store chains, and specialty food stores. We are committed to supporting small businesses like us. Please refer to our store locator to find out where Macie’s Own Dog Treats are sold. We do not engage in Internet sales. We do not sell through national chains. Here at Macie’s own we do not use any by-products, artificial preservatives, fillers, or artificial flavors. dog treats that are named after her. 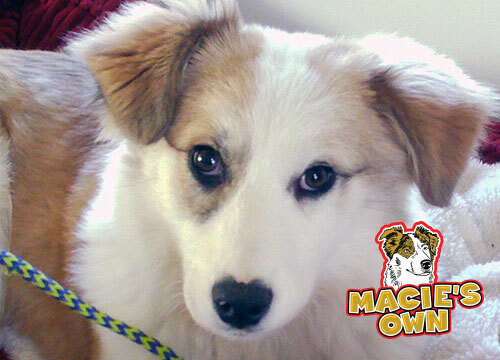 Read more about Macie’s Story. View our Store Locator to find out where you can purchase Macie’s Own dog treats. of Smiling Rooster Farm, LLC.